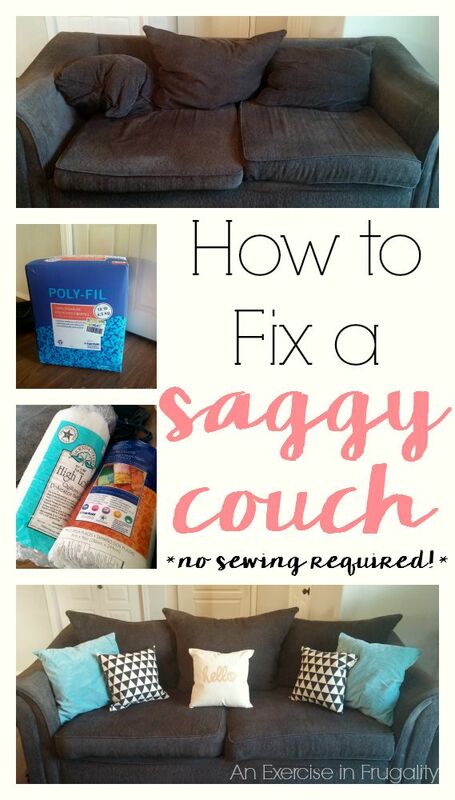 Think you can’t fix saggy couch cushions? Think again! It’s easier than you might think to repair your used couch. 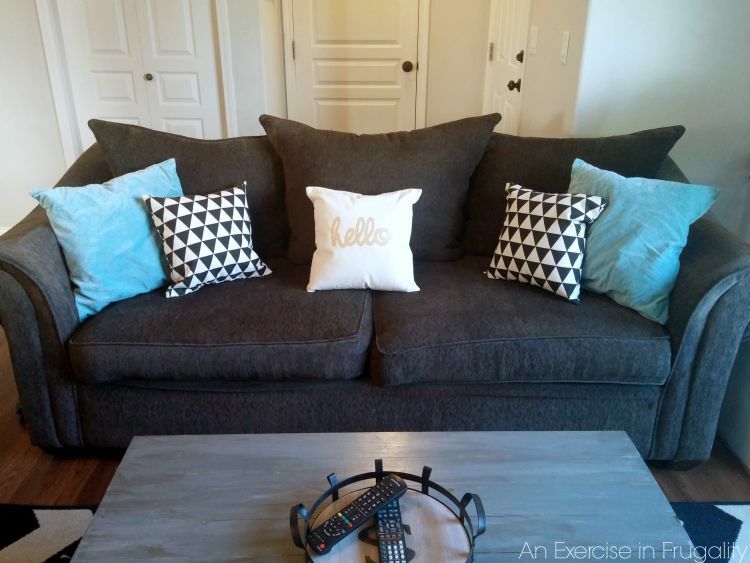 Don’t spend money on a new couch just yet, until you’ve tried this! When your sofa cushions are squished into hard clumps of disappointment, your favorite place to sit becomes a burden on your tushie. If your couch cushions have zippers, you’re in luck! 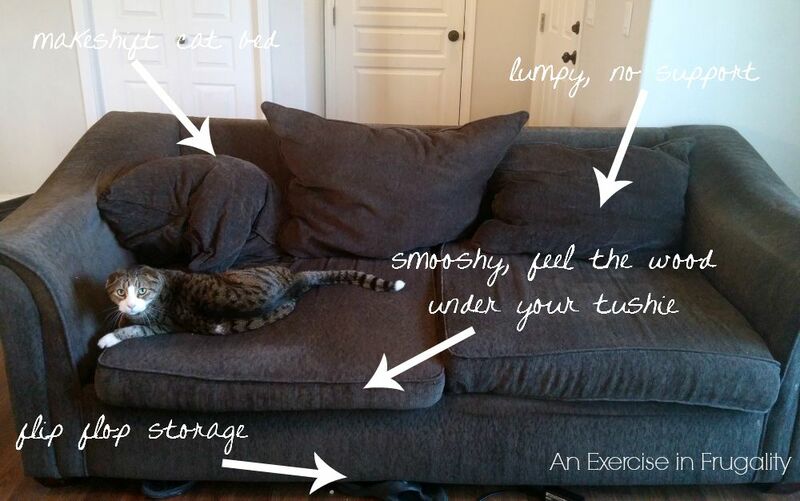 This super easy tutorial will show you how to restuff your couch, fixing those saggy cushions once and for all. Our couch has seen better days. Who am I kidding, it’s a mess. 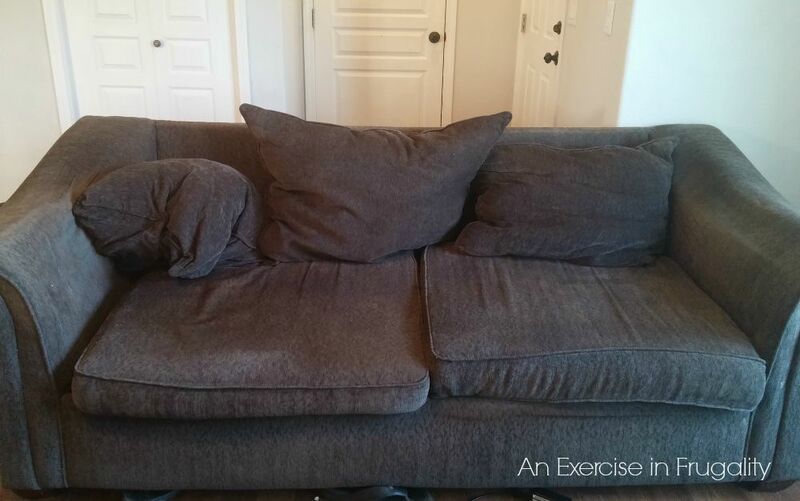 I really needed to figure out how to fix a saggy couch cushions. Or should I say, re-stuff them. I’m actually embarrassed to show you this but here it goes. This is what my couch looks like most days. My couch is 5 years old…not terribly ancient in couch years, but certainly not new. Its cushions have been floppy and limp for a couple years now and I wanted a new one. The couch (and its cousin, the chair) were purchased with an inheritance from my Nana when she passed away. It wasn’t much, but she wanted me to have new furniture, and so I got a couch, a chair, an ottoman and a kitchen table set. Therefore it still holds a bit of sentimental value even though its functional usefulness is waning. We are broke and can’t afford a new couch right now. We are still paying off our new refrigerator among other things, so the new couch is not high on the priority list at the moment. So after one too many stiff and sore backs, I decided something had to be done with this couch. The cushions were like overcooked pasta: mushy and gross. I decided to stuff my couch cushions to make them fluffier and firmer. 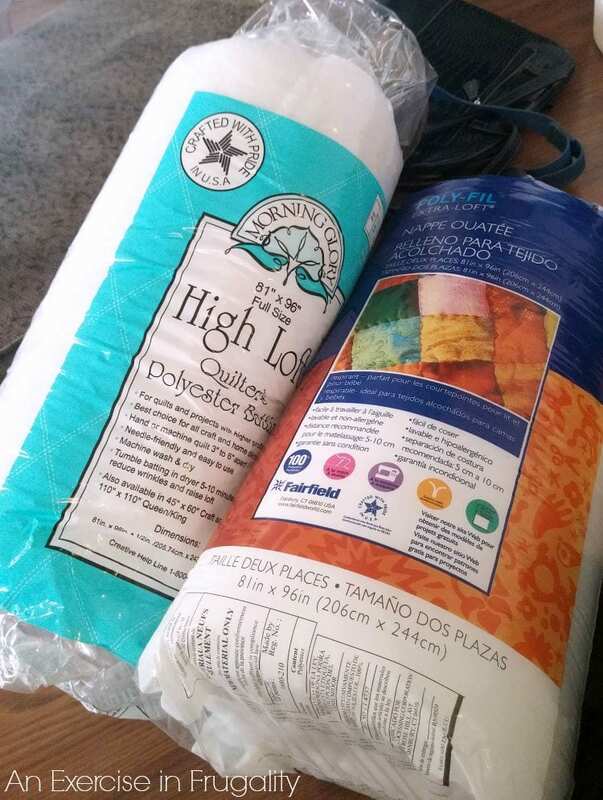 a box of polyester fiberfill stuffing (I got a 10lb box from Walmart and I have leftovers for making throw pillows! Score! The process is unbelievably simple. 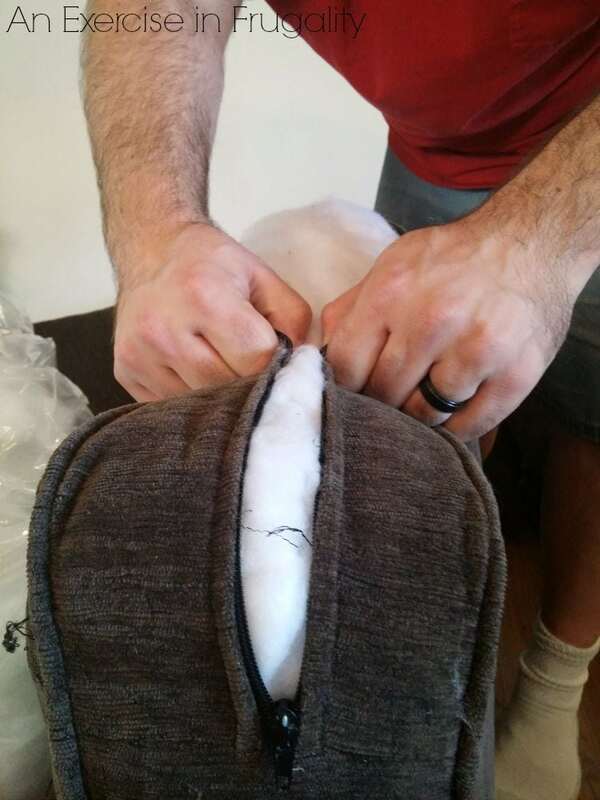 Absolutely no sewing required (unless for some reason your couch cushion covers are non-removable, then unfortunately there may be some stitching in your future). 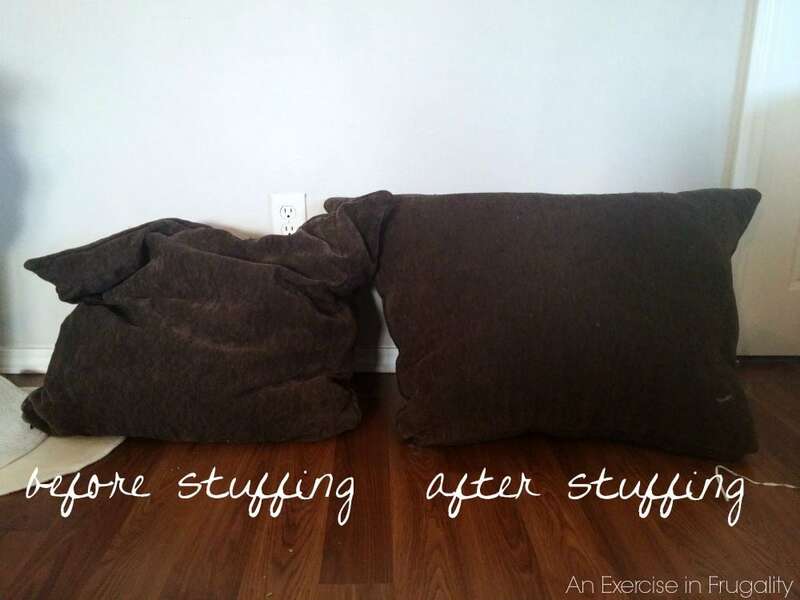 It’s super easy to stuff couch cushions! Make sure you get deep down in all the corners too! Pull tightly and zip closed! Slide carefully back into the case and zip! If its too thick to go back into the outer case, you can try slipping a plastic trash bag over it so that it slides in easier, then cutting away the bag and discarding it after you’re done. You might need a second set of hands. Or go it alone if you’re brave. More power to ya, Wonder Woman! While this won’t help revive the arms of the couch (ours are pretty beat up) it will help the couch’s longevity for at least a little while longer, and if the fabric is still in good shape like ours is, chances are it will look nicer than anything you could get on Craigslist for this price! If you’re feeling REALLY adventurous, you can remove the upholstery staples from the underside of the couch and add some batting to cover the arms, then re-staple. I knew we were going to be moving soon and buying new furniture, so I didn’t bother with this step. Here’s the final result. Like night and day, don’t ya think? Oh, and see those throw pillows? I made the 3 in the middle! No sew throw pillows, and would you believe they’re made from up-cycled canvas totes?! Super simple and only MINUTES to make! If you like my faux barnwood coffee table, you can see how I made that in this post too. I would love to see your pics if you try to fix a sagging couch. Tag An Exercise in Frugality on Pinterest, Instagram, G+ or Facebook if you post pictures of the finished product! Would you try to repair and stuff couch cushions? 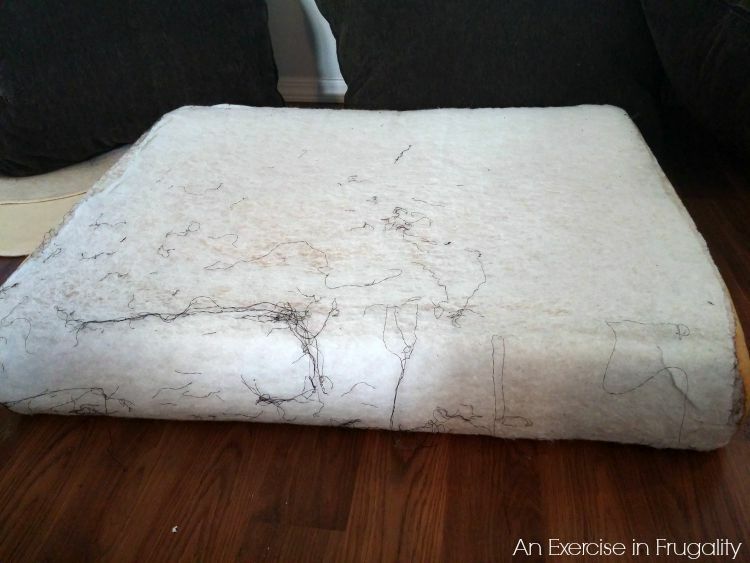 What a great and very inexpensive project to save your sofa! Unfortunately, mine is beyond help. And since my housemates are messy, I will be buying furniture from craigslist instead of new…so I will most likely be implementing your sofa rX in the near future. Thanks for sharing your wonderful tips. God bless! Thank you Lynne! This will come in handy if you find a Craigslist couch in need of a little help! I did a google search for saggy couches and lo and behold I came across your site – which show my EXACT couch. Yes, I have the exact same couch doing the same sad slouching on the same pillows. The one difference is the (facing) right seat has a broken zipper which I will need to repair and re-stuffing. Thanks for showing us your tips. I was about to sell my couch on Craigslist but I can just revitalize it and make it cute again like yours! Irina sorry to hear about your couch but I am so glad you found this post! It always makes me so happy to know that I was able to help someone. 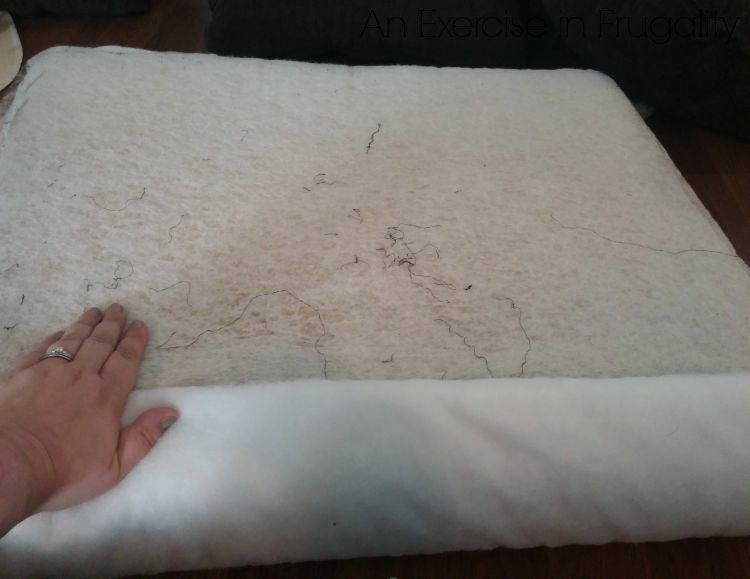 🙂 I know a couple people who have the same couch and theirs sagged too so I don’t think the couch is very well made, but this will definitely help your couch have a few more years of life! Good luck! I will have to do a bit of sewing, but with 2.9 (due any day) kids (newborn-3) I don’t want a new couch for another few years! 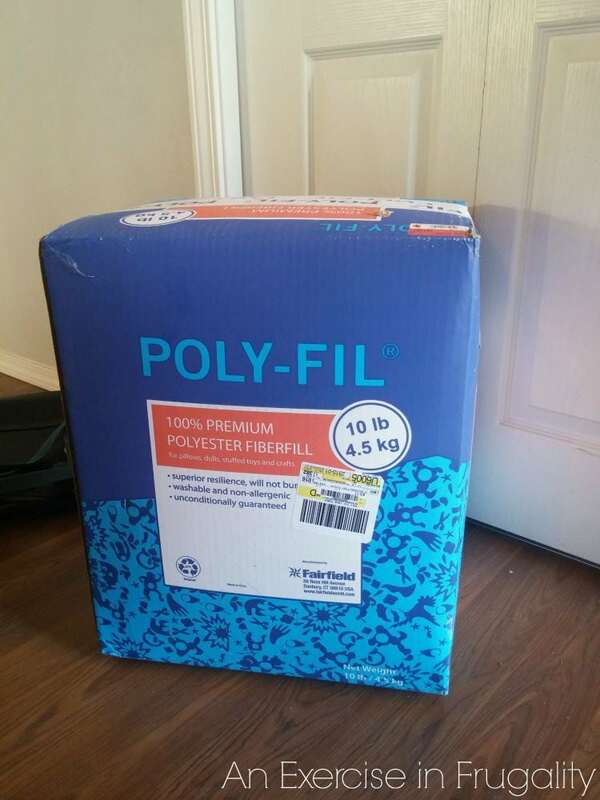 Great tip, and I would have never thought of polyfil from WAL-MART! I do not blame you at all! This will get you a few extra years of life out of your current couch! 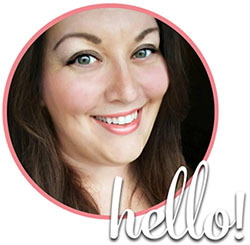 I’m happy to hear you enjoyed the post and an early congrats on your impending new bundle of joy! Thank You!!!! Love this DIY HACK!!! Thanks Michele! Glad you found it helpful! Ok im confused…why do u stuff with polyfil before pulling cushion out and wrapping with the quilt badding? Sorry for the confusion-that’s two different cushions. The back cushions on this couch were essentially pillows (ie: there was no foam cushion) so for the back part it was JUST polyfil. 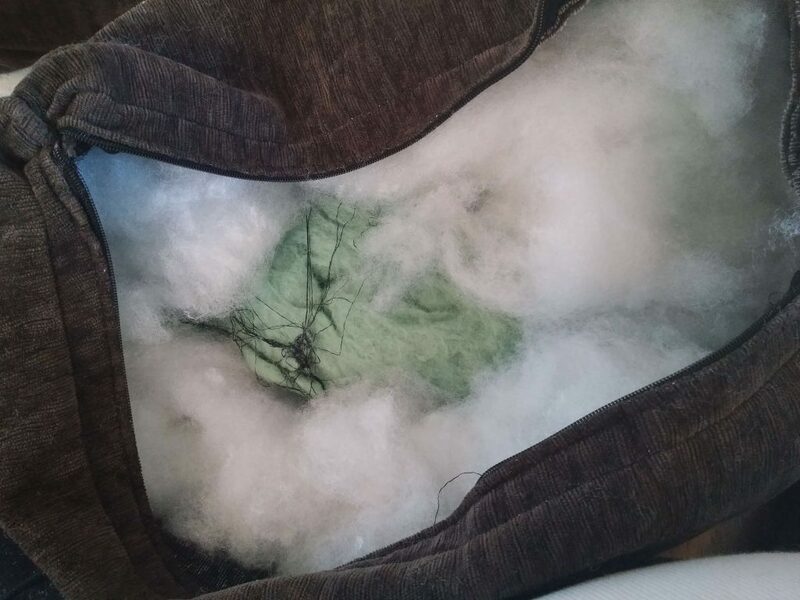 If your back cushions have foam in them like the seat cushions (rather than pillow-style) just repeat the seat cushion instructions and skip the polyfil all together. I’ve been looking for ways to fix our saggy couch. It has good bones and we’re broke too! So I’m going to try this plus find a pattern for a cover. Thanks for sharing! You’re so welcome Deb, I hope it works out well for you. The slipcover is a great idea too. I hope it turns out awesome! If you have old duvets they work really well as extra padding too. I cut them to size and neatened the edges with the sewing machine but that was me being fussy and it wasn’t necessary. This is a great idea!! We have an AMAZING down-filled couch that (SHOCKINGLY) is still in great shape, even the fabric, after having it for 10 years, through at least 3 moves, 5 dogs, 5 people living with it (at some point or another) it is a total champ!! But lately I have noticed the cushions drooping in the back (sore back mania) and just having to readjust too many times lol. The whole “give me 3 pillows so I can put one behind me, one under my arm, and one behind my head” ordeal. I think this is all it needs! Other than that it really has been the best couch we have ever owned! Thanks for the tutorial! Yours DOES look like night and day! I can’t wait to pop on over to the pillow tutorial. We definitely could use some throw pillows with more fun colors. I, too, am a couponer- well more was but once a couponer always a couponer at heart. 😉 when my health allows I definitely still do! God bless! OH and where can I see all of these made over couches of your followers?! I wanna see them ladies! !